Much like here in Maryland, Illinois is one of the most recent states to adopt legal medical marijuana. 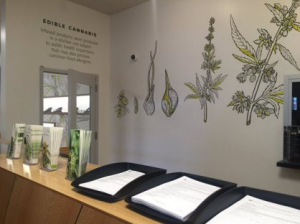 There has been a big rush to now fill the demand with new medical marijuana production and medical marijuana physician practices. Today, after months of waiting, entrepreneurs in Chicago officially opened their first medical marijuana dispensary. 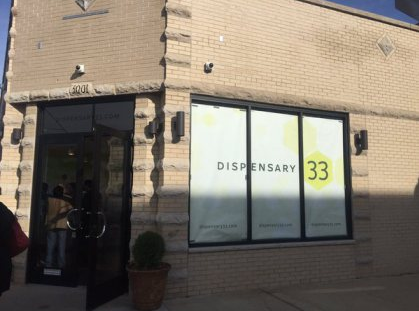 It’s called “Dispensary 33”. And the community is celebrating the new beginning of the medical marijuana industry in the state. Chicago is the 3rd largest city in the US, which will make it a centerpiece for the medical marijuana movement, and a great example for other large cities to follow. Dispensary 33 is located in the area of Andersonville, in the greater Chicago area. It replaced a local pizzeria, and is really set up as a small, community centric, local business. The owners are husband and wife team Kristie and Zach Zises, and one of the first orders of business was to host an open house for the entire neighborhood. To the Zises family, it’s not just about creating a new, innovative business; it’s also about getting the community behind them. In Maryland, much like Illinois, we expect new, licensed medical marijuana businesses to be open by early 2016. And each one of these businesses will be professional, efficient, and ready to serve the community at large. Through the state of Maryland, the highest levels of vetting are being done right now, to make sure Maryland medical marijuana patients get treated with respect, and get the medicine they need without too much red tape.